Effective altruism is an awesome social movement that uses rational approaches to maximize good in the world. A big part of that good can be done through giving money. But sometimes the mechanics of giving can be tricky. This is a breakdown of those mechanics for those based in the US. There’s a lot here related to nonprofit law, US tax laws, retirement, and planned giving. When you’re giving you have to figure out how much to give along with what makes sense for your financial future. For example, you don’t want to be 65 and not have anything for retirement. This article goes into retirement and planned giving. This article is for philanthropists of every income bracket. 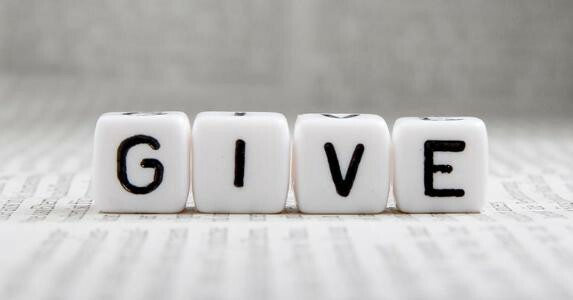 There are any number of ways a lifelong giving plan can be done. What follows is just one risk-averse approach. Though, the investing approach outlined here is rather aggressive compared to other options. You can adapt your investments to your own acceptable level of risk by mixing in CDs and bonds. Phase 1: Retirement needs are not met. Phase 2: Retirement, debts, and savings buffer needs are met. Phase 3: Pre-retirement and other needs are met. Let’s start with phase 1. Phase 1: Retirement is not met. This phase is about prioritizing your retirement while getting in the habit of giving. We’ll break this phase down into three sub-steps: A (donating), B (cost of living), and C (debt, savings, and retirement). I don’t think this is the most efficient phase to give heavily, but it’s important to do so for motivational and habit purposes. Still, even 1% of your gross income is not trivial. If you make $50K/year, that’s $500, enough to deworm 5,000 children so that they can function at school. An exception to lower giving would be if you’re on a board of an effective charity. Then, in order to fulfill your responsibilities, you’ll need your giving percentage to be higher while you’re serving. It can be tricky sometimes to figure out where to donate (definitely not a church, Make a Wish Foundation, or a rich alma mater). But we need to make a giving decision that we can’t change our minds on. I highly recommend setting up a donor-advised fund, which is available for people in most financial situations. Donating in a donor-advised fund is irrevocable and it must be donated to charity. They’re as easy to set up as an online savings account. They’re also perfect for donating more complex assets such as appreciated stocks. Don’t make your favorite charity spend resources on extra legwork. Giving through a donor-advised fund means all your charity has to do is cash a check. Now that you’ve set aside your donation either through a lump-sum donation or automatic paycheck deduction, it’s time to figure out your expenses. This is where frugality really pays off. This is going to depend heavily on your number of dependents as well as where you live. I think there’s a good case to be made for the added expense of living in a city because you have the potential to influence more people with higher incomes to give. In any case, figure out what that number is. Interest from debt interferes with other goals and typically needs to be prioritized. For an additional savings buffer/ safety net, a fourth to a third of your annual cost of living should be plenty. Though some make the case for as much as a year. Whatever this number is, make sure you have that set aside. For retirement, there are lots of options. If you’re eligible, an IRA (Roth if you can) probably makes the most sense. You can use your effective altruism lense here. You may want to consider more socially responsible investing rather than a broad index fund that’ll include oil and coal companies. ETFs are a flexible option and trade like stocks and offer diversification. For example you can get an ETF for solar, wind energy, or a number of other categories. An IRA also lets you buy individual stocks like Tesla. If you have a 401k with a former employer and don’t like the companies you’re invested in, then you can use a rollover IRA. Notes are also a flexible retirement investment option for those in some states. You may also be saving for college for your kids if you have them. This would be the spot to consider a 529 plan account (many advantages). If you do your own thing like consulting or write and make a considerable income from these sources, then you may also consider a one-participant 401K. This retirement plan gives a lot of flexibility for adding money into a tax-advantaged account. The most important part of this section in addition to using the proper retirement account is to immediately assign a beneficiary for each account for when you die. Pick your favorite charity. For most people, this will be the largest donation you ever give. If you want to be sophisticated, have your donor-advised fund be your beneficiary and set the charity beneficiaries from within your donor-advised fund. Also, make sure your will includes your charity for any residual assets you want to give. If you have complex assets, assign it to your donor-advised fund and have the fund transfer the assets to your charity. This will make things much easier for the charity so they don’t have to worry about selling or dealing with complex assets. Also, don’t put strange contingencies on the donated assets if you can help it. It annoys charities and complicates their accounting. If they’re a good charity, then you can trust them. Tip: To the extent that you have heirs to take care of, address them in your will or beneficiary documents through your Roth IRA if you have one. Bequeathing through a Roth IRA makes sure your heirs aren’t taxed. Though US tax law is particularly kind to heirs in general. Phase 2: Retirement met, debts paid, and savings buffer are met. The earliest you can withdraw without a 10% fee from the retirement accounts mentioned in Phase 1 is 59 ½ (with exceptions). You’re in Phase 2 if you’ve saved enough from 59 ½ on but still need to fill in the gap from 59 ½ to your younger, current age. Many people will go right from Phase 1 to Phase 3 because it can be difficult to create enough wealth to cover retirement from age 59 ½ on. But most people who make over $100K and can live on $50K should easily be able to pack away enough savings to find themselves in this Phase 2 or even an early Phase 3. Again, here are our three sub-steps: A (donating), B (cost of living), and C (pre-retirement). You’ve got your retirement taken care of, so you can afford to take some risk and donate more. Even if some calamity happens, you’ve got solid options. At worst, you’ve got your savings buffer, and if that runs out, you’ve still got retirement savings which may involve an extra fee. See the Phase 1 section for details on giving tools and charity footnotes. If you’re here and didn’t go right from Phase 1 to Phase 3, then you’re likely a high earner. Say you make $150K a year. At 10% giving, that’s $15K, enough to save the lives of 15 children through Iodine Global Network. Imagine swooping in and saving 15 kids all at once from getting hit by a runaway train. That’s a superhero! In terms of which assets to donate, you’ll want to prioritize donating appreciated gains for full tax benefits. Much of this discussion is left to Phase 3, Step B, so feel free to jump to there if you want to figure out which types of assets to donate at this stage. Keep being frugal and practical. You’ll thank yourself. Also, maintain and adjust your savings buffer. If you have investment losses in a non-retirement account, then those would be good to use for your cost of living. 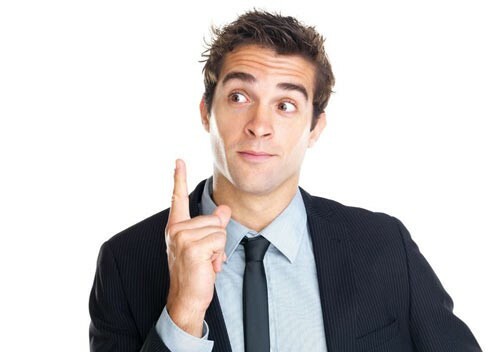 That way you can take a tax deduction on your new income. You’ve maxed out what you can do with a tax advantaged account given your needs, but you still have to cover the time from now to 59 ½. If you’re lucky enough to be in this position, then you likely qualify as an accredited investor. If you’re comfortable taking some risks, then you have some additional revenue generating opportunities with your investing. You also don’t have to worry about investment caps that nonaccredited investors face while participating in crowd investing. The same other opportunities such as ETFs and notes also apply. Other options such as real estate investment are on the table, too. It may be worthwhile to make these types of investments. The reason is that if you hold an investment asset for more than one year, it’s considered a long-term investment. When you realize the benefit, it’s instead taxed under the lower capital gains tax. There are also additional benefits for these types of long-term investment assets when donating, which are discussed further in Phase 3. If you’re in this Phase 2, then you likely have a financial planner and your own attorney. Make sure your planned giving is set up if you haven’t already. Also, you may consider having an attorney set up a charitable remainder trust for you if you’re in this position. This is a more complicated instrument, but it can address your philanthropic needs while covering your pre-retirement years. A charitable remainder trust can help protect your assets during litigation and probate (distributing your assets after you die). Additionally, a way to make sure your real property (ex// condo, land) go to charity is by giving the remainder of a life estate to your donor-advised fund. This means you get the use of your home or property while you’re living but when you die it’s sold and goes to the donor-advised fund. Then your donor-advised fund distributes the funds to whichever charities you set it to give to upon your death. Setting the beneficiary to your donor-advised fund means your charity doesn’t have to deal with the complexities. They get the full cash benefit of the donation so long as they’re set as your beneficiary within your donor-advised fund. What’s the most money you would ever possibly need? The simple answer is that an investment portfolio with 25 times your annual cost of living should last you forever when considering typical appreciation and inflation. If you have a generous annual cost of living of $50K and an investment portfolio of $1.25 million, then there’s no reason for you to save further so long as you never withdraw more than 4% per year. 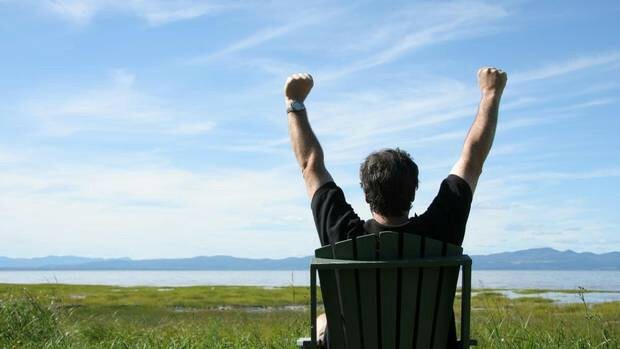 (To retire even earlier, consider retiring internationally where there’s a much lower cost of living.) This level of savings also creates the opportunity to donate heavily since you also have your retirement taken care of. See Phase 3 if you reach this savings level. Phase 3: Pre and regular retirement are met. If you’re in Phase 3 then you’re either in your retirement years and financially covered, or you have enough to retire early. Either way, you’re now in the position to give 100% of everything you earn! There are only two steps here and in reversed order from before: A (cost of living) and B (donate). Now that you have your remainder years covered, you can donate any outside new income you receive. But you’ll want to be particular about which assets you use for your cost of living and which assets you give with. Think about your annual living expenses and the number you’ll need. If you can take money from your Roth IRA, then you should use that and any other non-taxable revenue to cover your expenses first. Next, you’ll want to cash out assets from investments you’ve taken a loss on so that you can use the remainder and declare the loss to deduct from any new income on your taxes. Next, cash out small-gain investment assets (this will make sense because you don’t pay tax on the original purchase, known as a cost basis). If there’s still cost of living left to cover, use your new income to cover these expenses. 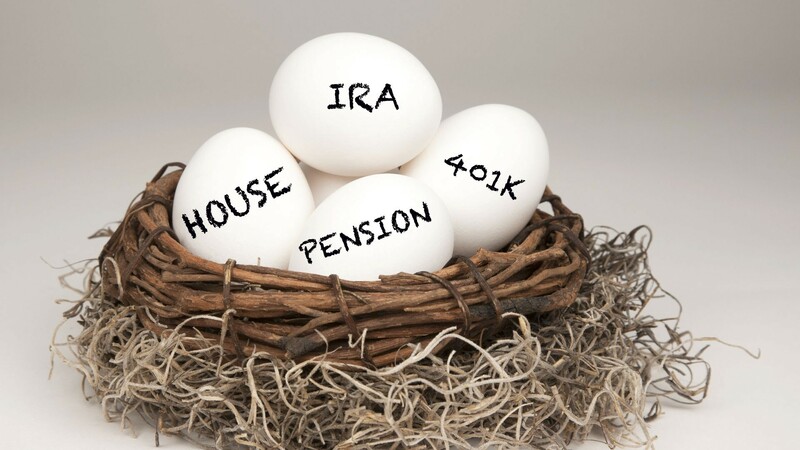 Note that if you’re retiring before 59 1/2 and the reason for your early retirement is dependent on being able to access retirement accounts before you hit 59 1/2, then you can also use an exception. Setting up substantially equal periodic payments (SEPP) before you hit age 59 1/2 will let you avoid the 10% withdraw penalty. If being able to use funds from your retirement accounts is crucial, there are other penalty-free ways to withdraw funds early as well, like up to $10K for buying a home or certain medical expenses. Here, you’re donating the surplus above whatever you need for your living expenses for the current year. Because you have savings from this point on, you can give any new income to charity. You are now truly earning to give. You may be at an age where you can still earn a high salary to give with — in which case that’s great! If you’re beyond your full-time working years, then you may consider some other options to bring in new income. 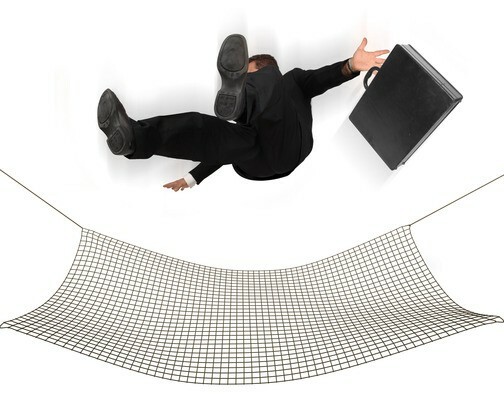 Consulting or part-time work may be one option. If not, there are other options such as renting out a room through AirBnb. Depending on where you live and demand, this income could easily create an additional four or five figure donation. For tax purposes, it’s important to know which assets to give to charity. If you have appreciated assets that you’ve held for longer than a year, then you’ll want to put these in your donor-advised fund and donate through that channel. You’ll want to do this because then you don’t have to pay any taxes on the gains yet you’ll be able to deduct the full amount, not just the starting investment. This is pretty much the most tax advantageous giving opportunity you’ll see. You can do this to get a tax deduction for as much as half your income. Even if you’ve maxed out your deduction on your new income, by donating appreciated investments you still get the advantage of avoiding paying taxes on those investment gains. At this point, you may also consider making a direct donation from your IRA. This will reduce your taxable income, but be aware that you can’t make this kind of donation to a donor advised fund and you must be at least 70 ½ years old. As of this edit, the tax deduction maxes for giving to public charities are 50% for regular donations or 30% for capital gains property (think stocks). The percentage is out of your annual adjusted gross income. The max is also a bit lower for private foundations. Another consideration is that if you hit the max, you can still carry over the residual deduction for up to five future years. There are some other exceptions that you can find in that link above. Apparently, you can deduct a lot more of your charitable contributions if you’re a farmer, for instance. Of course, you can give beyond what you can take advantage of through a tax deduction. As someone who thinks a lot about charitable giving, this is the most risk averse way I can think of that also provides heavy tax advantages. This assures that the most money possible gets to charity. Many of these strategies described are also robust to litigation over your assets both while living and during any potential dispute of your will. Remember that many financial accounts give you the option to easily create a charitable beneficiary. Take advantage of this convenience and set a beneficiary right away! You can always change it later. If you haven’t already, I strongly encourage you to read up on effective altruism. You can find more information in the endnotes below. Also, the link to the article on donor-advised funds is one I authored and worth reading. A donor-advised fund is an essential giving tool for any savy philanthropist, which is what you are. You’ll find it very convenient. If you set up your retirement accounts with the same bank as your donor-advised fund is held, it makes everything even easier to manage. Congratulations on your decision to be a philanthropist and make the world a better place! By now, you see that’s an option whether you’re a multi-millionaire or merely at the world’s top 1% — that is, you make at least $52K/year. Effective altruism uses reasoning to maximize your good in the world (intro talk by Peter Singer here). You can do that in a number of ways such as influencing policy and funding, reducing/eliminating animal consumption so as to avoid sentient suffering caused by modern factory farms, and giving money to effective charities. Effective altruism is truly a great route to go and highly worthwhile to learn more about. I recommend reading Doing Good Better; 80,000 Hours; and The Most Good You Can Do. The Center for Election Science (CES). CES advances smarter voting methods for smarter decisions on electing better governance thereby giving us better policy and spending decisions. See the case for CES and EA. You can find additional effective charities on Givewell. Socially responsible investing is more complex than it sounds and there are reasonable arguments about the amount of good that it does in terms of punishing bad companies and rewarding good companies. One more logically consistent route is to take the opinion that unethical behavior for a company is not sustainable and by divesting or investing in other companies, you are avoiding a sort of bubble. Rather than investing off an exchange, another route is investing in private companies or companies that are preparing to go public. This may be tough for those who aren’t accredited investors, however. Also, these investments aren’t always eligible for tax-advantaged retirement accounts, which is why they’re discussed more in Phase 2. You may find the effective altruism driven firm Antigravity Investments helpful here.